Once upon a time, a beautiful princess and her handsome prince planned for like two years for their wedding... Seriously, they worked really hard and saved every penny. They thought and thought, and decided on many things that were important to them. And their starlit wedding reflected all those things that made them very special. 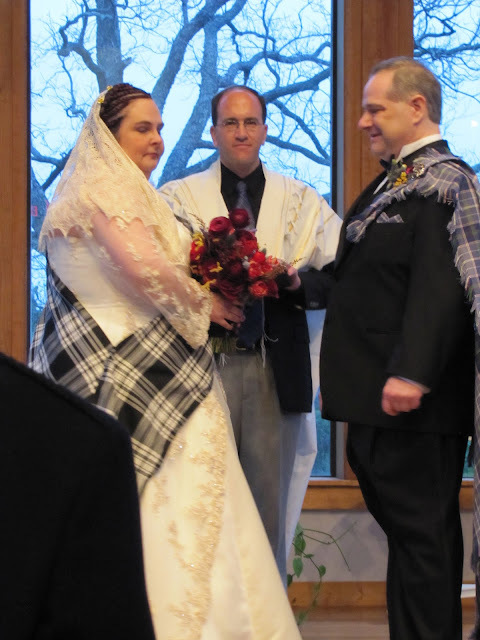 And so Friday night, an honored group of us got to attend this beautiful wedding in a chapel among the trees. Rita and Lawrence finally became man and wife. But the weekend was young, and GrandmaTutu and I had to jump into the Extended Cab Chariot of Fun and head to Tyler, for the Wildflower Fiber retreat that very night. We got to Tyler very late and checked into the Palace of Holiday Inn Express. This is a huge departure from every other time I've been to this retreat, as I usually rough it in a cabin on a bunk bed. But I decided to embrace my elder status and cushion the accommodations a bit. Tri-loom weaving was a big hit this time - here Lisa shows us how it's done. Love those little looms. 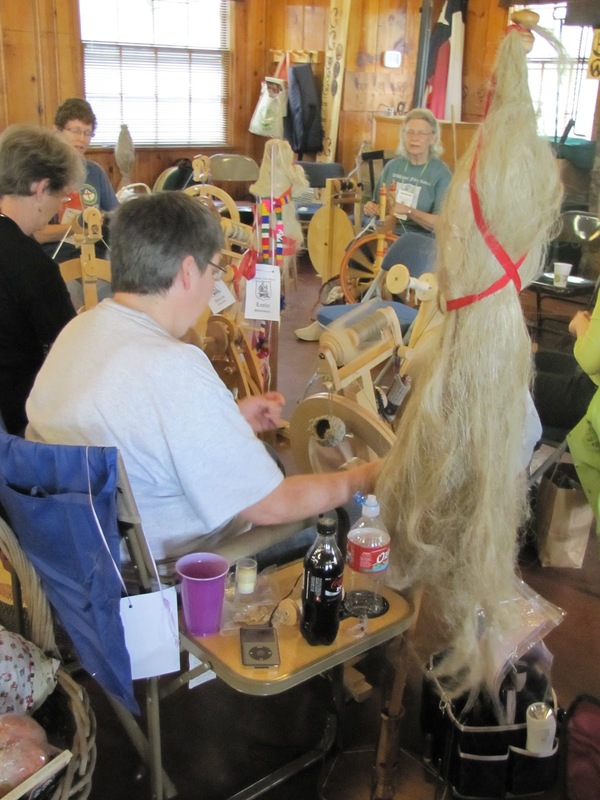 We have a tri-loom class coming up here at the farm in a few weeks--would you like to learn how? Dori needle-felted little sheep on the table decorations this year, highlighting the special breeds we would be learning more about: Shetlands and Jacobs. Joyce Terrell spoke about her love of Shetland sheep, and told about how to best use their wool. 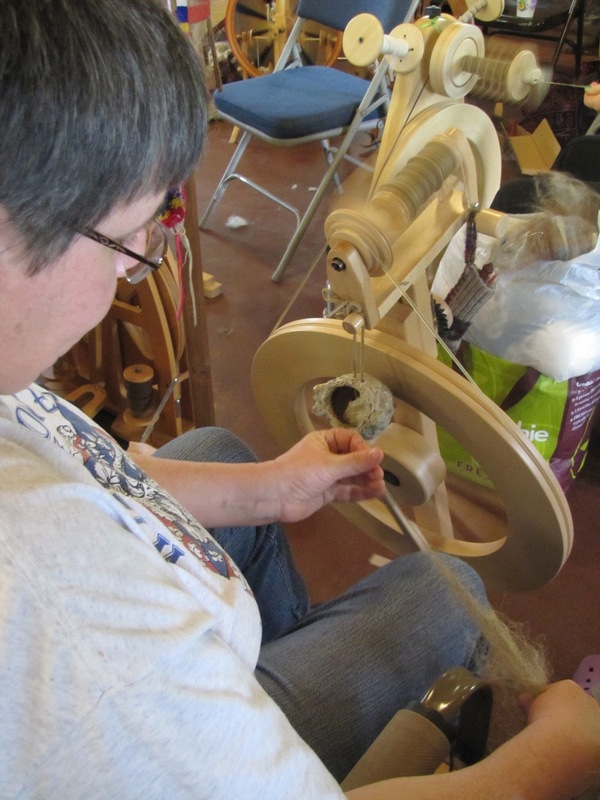 I got the opportunity to share about Jacobs, and we all got to play with some freshly washed fiber from the two breeds. Midge talked about silk and we got some very nice samples of that fiber to play with, as well. The atmosphere was very casual and laid back this year. We enjoyed the usual great food, show and tell time, and a riotous evening of door prize giveaways, but the schedule was loose and flexible and allowed for lots of restful time in the vendor hall, or wandering outside among the pine trees in the fresh air. Go Christine! You can tell she's done this before. We drove out of the pine forest, waving goodbye for another year, but the farewells are only temporary. Heck, these are some of my favorite folks and I'm blessed to hang out with them lots! 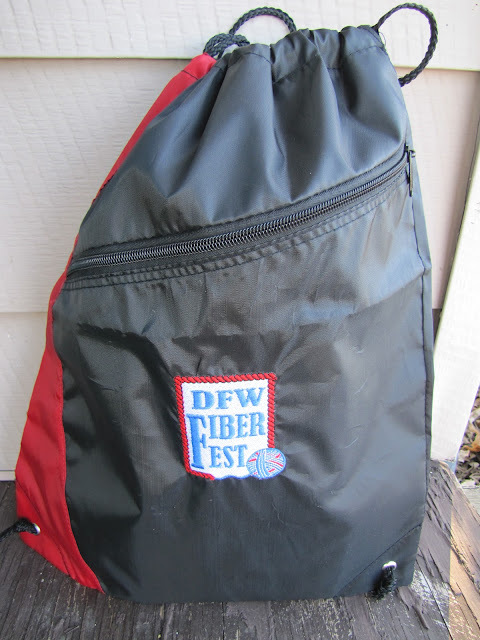 The DFW Fiber Fest is just two weeks away, so there's lots more fiber fun in the offing, very soon. Before you know it, we'll add our alpaca fiber to the harvest haul... What amazing adventure will we have next?